What Is The Purpose Of The Limit? So What Exactly Is The Maximum Weight Limit (MWL) Of The Maxi Climber? 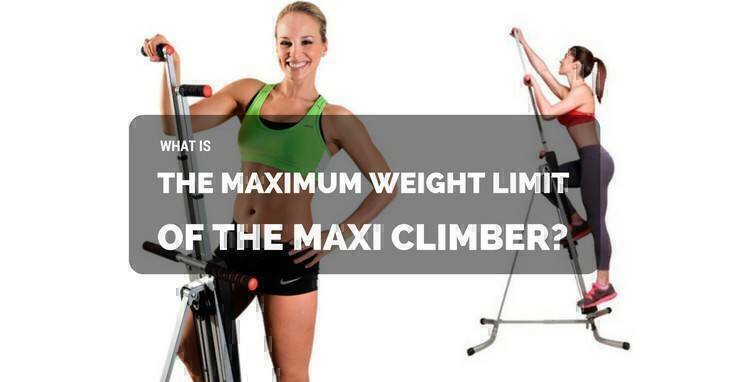 →What Is The Maximum Weight Limit Of The Maxi Climber? If you want to know the maximum weight and height limit of Maxi Climber, check out this article to get more information. Okay, I have a question: how’s your New Year’s Resolution going along? I know most of you probably included “Observe a healthy lifestyle” or “Lose Weight” in your list because well, I did. I talked about Maxi Climber before and how it can help you achieve your body goals. Comparing it to other cardio workouts like stationary bikes and treadmills, it burns fat faster and with less time too. But what is the Maxi Climber maximum weight limit? It’s a vital information you should know before you buy so you can determine if it’s the perfect fit for you. It’s for two things mainly – your safety and the machine’s longevity. 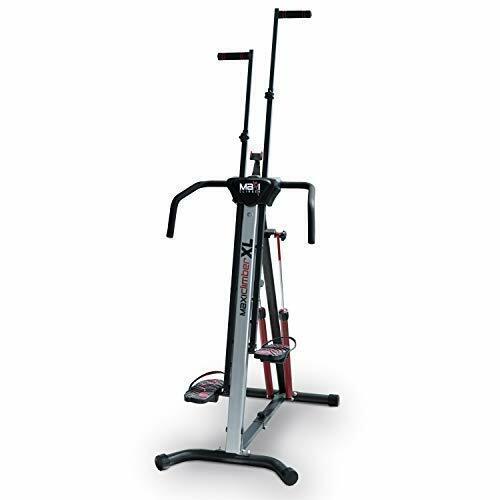 You cannot use the Maxi Climber to its full potential if you keep on fearing that it will break under your weight. Just think about it, the vertical climb is about using your whole body and putting enough power to get through the workout. In a nutshell, because you don’t spend as much time, you need to give it your best shot. And how can you do that if you don’t ‘trust’ it to be capable of handling you? Also, another more obvious reason is to keep you safe. No matter what kind of exercise you do, this should always be the top priority. If the machine doesn’t ensure your safety, it could result in injury. Well, to be honest, mums like me barely have time for ourselves so going to the gym and spending an hour or two working out isn’t exactly the most feasible way to burn fats and calories. I just didn’t have enough time on my hands. Because the Maxi Climber lets you exercise at home, I can do it while the baby is asleep. Also, a big bonus is how much calories it burns – as much as 540 in only an hour. When you go for treadmills, you can only burn half that number. Any mum would agree how stressful it can be taking care of the little one (but it's still rewarding). From infancy to toddlerhood and even when they eventually grow up, you should always be on the lookout. And during the first few months after my baby was born, I could neither go to the spa nor have some serious ‘me’ time. So working out became an effective stress-buster for me. This is why it’s called a cardio exercise. Your heart, just like your biceps and triceps, is a muscle and therefore needs to get worked up. Keeping it in shape is easy and doing exercises like vertical climbing is an excellent way to stay healthy. You see, an hour a day already makes a huge difference. Ah, yes this is our ultimate goal, isn’t it? Especially after giving birth, getting thick in the middle is a common dilemma. Regular cardio exercise will help reduce the fat, but of course, it won’t be overnight. You need to work hard for it. Have you ever felt instantly relaxed and happy after a rigorous workout? It’s not just in your mind because exercise such as the Maxi Climber helps the release of endorphins, also known as happy hormones. That’s why you often get euphoric after sweating it out. Also, there’s a certain sense of accomplishment after an hour of intense exercise. I always feel like I’m glowing after working up a good sweat. And it’s not just a feeling because science backs that claim. Working out makes you happy. It indicated that the MWL is 240 pounds or 108.9 kgs. As for the height, there’s nothing mentioned. Once assembled, the Maxi Climber is 84 x 36 x 24 inches. Do not push the machine to its limits. Again, I’d like to stress this one out because it’s important for your safety. The numbers are there for a reason. So do not disregard them under any circumstances. If you’re wondering about the dimensions, don’t worry though because it folds easily and it’s compact so you can store it in a corner closet. Safety is paramount. In any exercise, you should always consider what is safe and suitable to avoid any possible injury. Although the Maxi Climber is appropriate for virtually anyone who wants to shed off the excess pounds or just maintain a healthy lifestyle, it’s also advisable to check out its weight limit first. Just like in any exercise machine, whether it’s treadmill or stationary bike, you need to follow the product indications so if you’re not sure about the weight limit, double check first. There’s nothing more disappointing that getting all excited about using it only to find out it’s not the perfect fit for you. Have you tried this already? How was it?